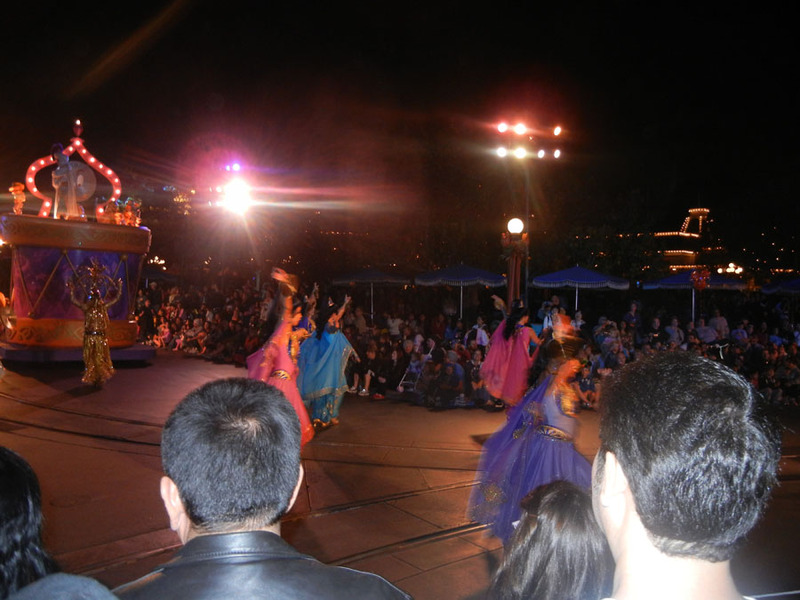 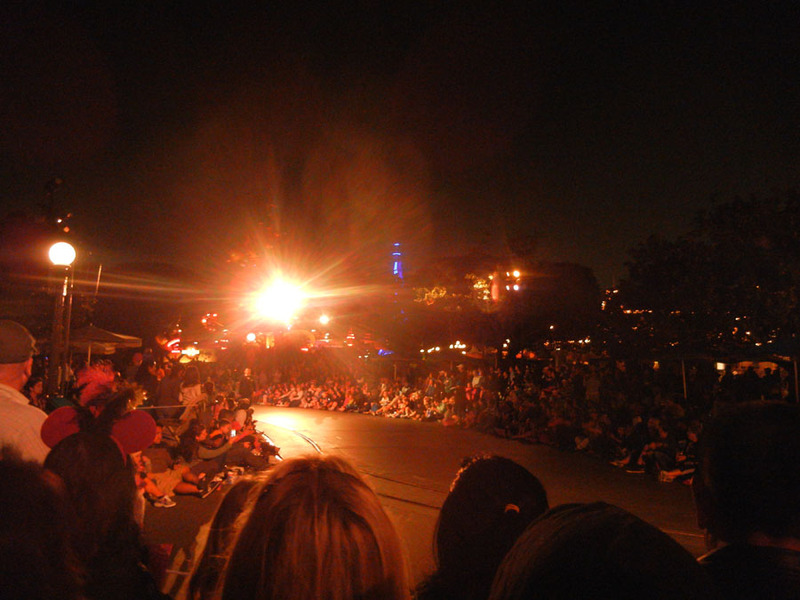 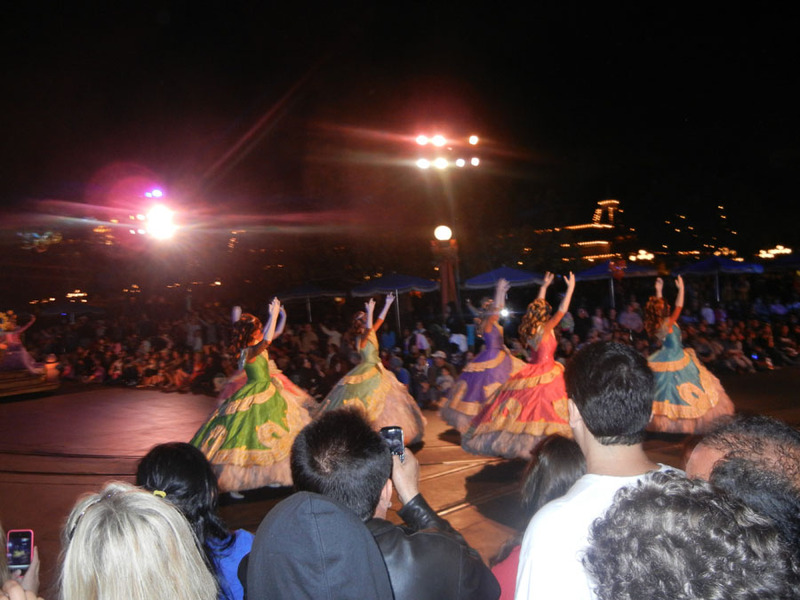 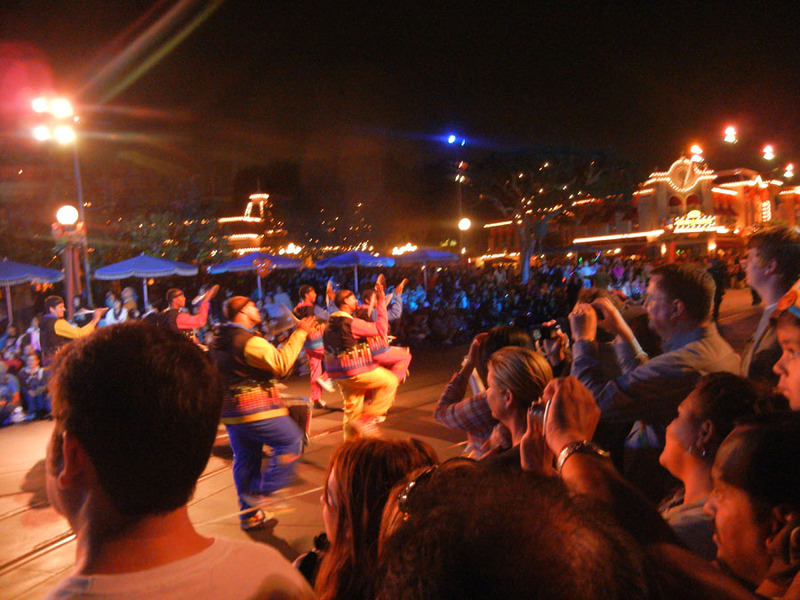 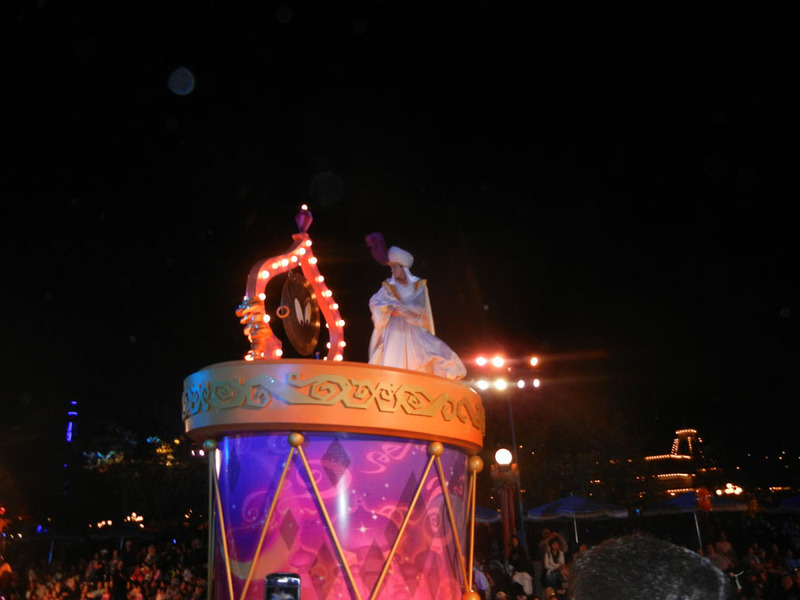 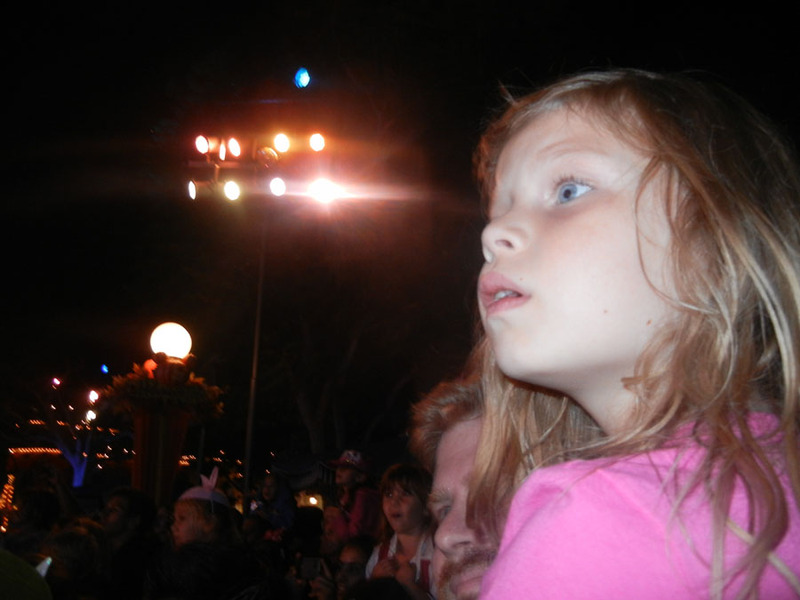 Here are some photos of the Disneyland parade at night. 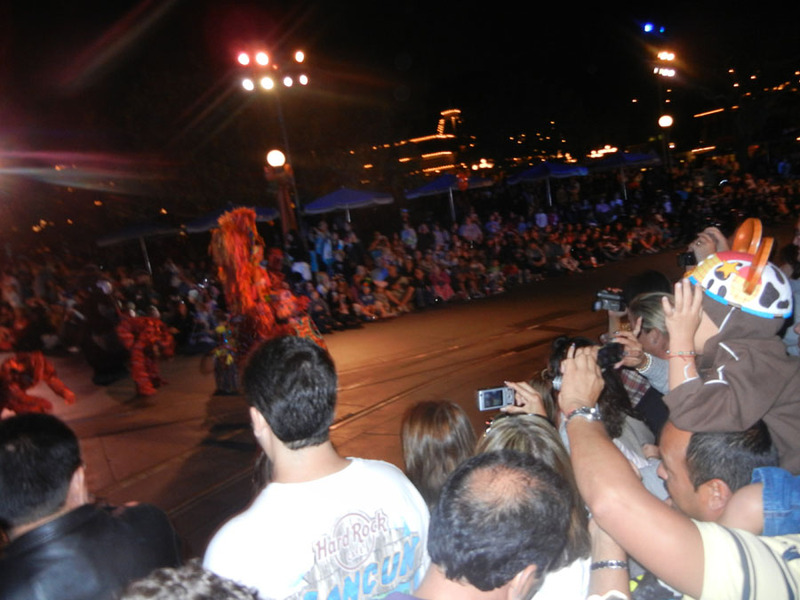 They are not great photos. 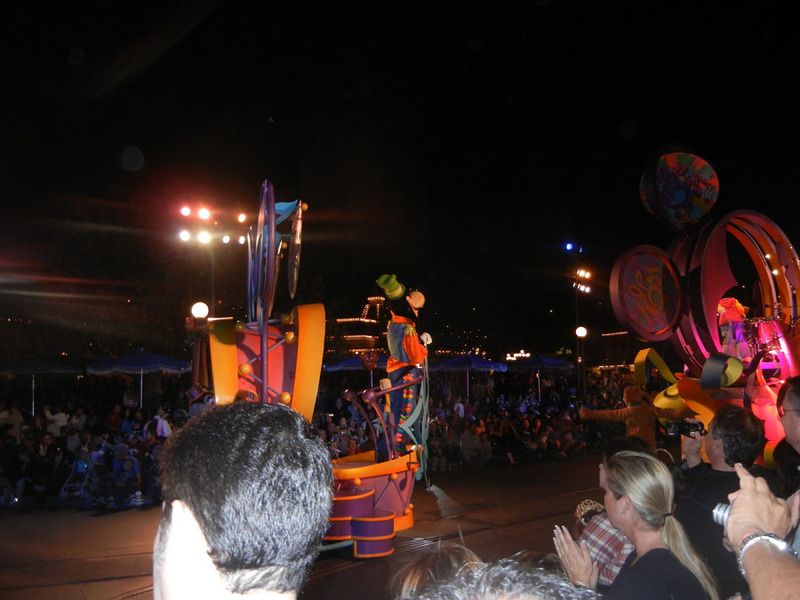 The rear of Mickey and Goofy's floats. 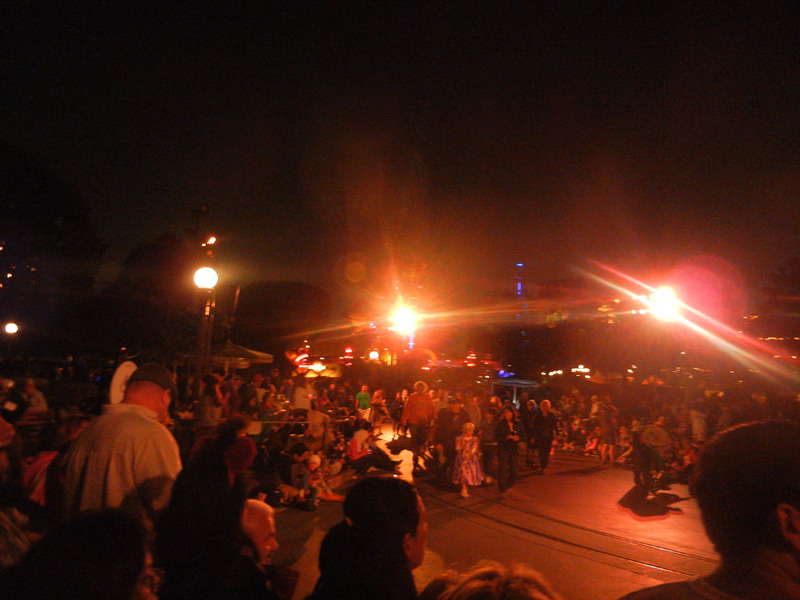 The parade lights fully raised.